Join us on Sunday, December 30th from 1pm to 4pm, for a Wedding Showcase of our three beautiful venues: Westport House, Hotel Westport and Gracy’s in the Farmyard. Our unique wedding offering delivers a choice of experiences – Fairy tale, Traditional & Rustic – all on our beautiful 400 acre estate. You can pick and choose your preferred use of our varied spaces such that, if you want to host your ceremony in the house, your meal and dancing in the hotel and your “day afters” in Gracy’s, we can happily oblige. 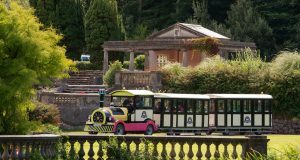 Our adorable Westport Train will be on hand to transport guests from each venue so feel free to park up at any one of the three and we will take you from there! 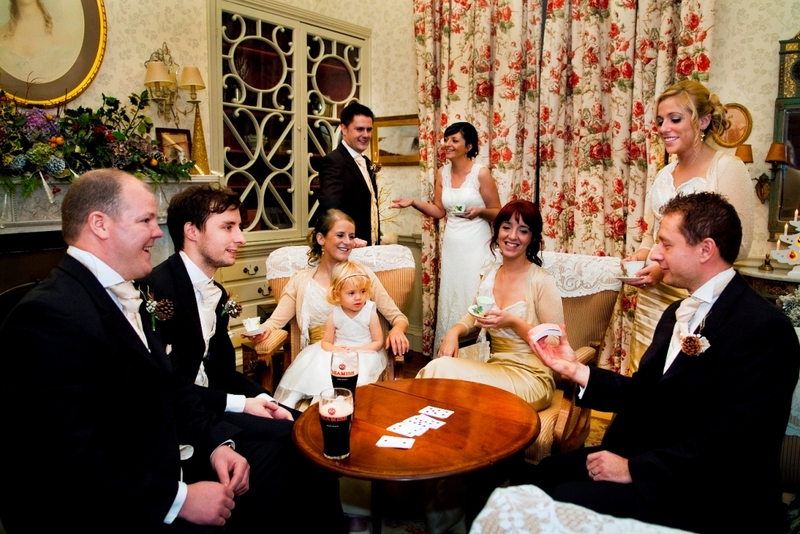 You may not know that we can host your ceremony and reception in a choice of locations – inside the house or outside on the Western terraces overlooking the lake as well, in the Loft of Gracy’s or outside in the courtyard of Hotel Westport. You are most welcome to take beautiful wedding photos on the gorgeous grounds and inside the historic house – creating memories we hope you’ll treasure. For your meal and dancing, choose from the Drawing Room and Long Gallery in Westport House (seating 120) or the Cara Suite in Hotel Westport (seating up to 300) or Gracy’s (seating 120 with the ability to add on a marquee to host more) for a garden party style affair. Did you know that we have an onsite hairdresser and spa so we can even help you get ready and look your very best? And when it is time to call it a day, we hope you’ll consider staying over in one of our beautifully decorated and very comfortable standard, premier, superior rooms or suites (129 bedrooms). With all of this on the one site and an experienced and passionate team to deliver it, our welcoming and helpful team look forward to meeting you to see our beautiful settings on December 30th and to answer any questions that you may have. Please feel free to drop in anytime between 1pm and 4pm on Sunday, December 30th. If you cannot make it, private evening appointments are available. * Exact usage will depend on venue booked and distance between venues (if offsite) but the train will be available to you for a minimum of 1 hour.